Dimensions 1.25 by 6.50 by 9 in. Marx, it is often assumed, cared only about industrial growth and the development of economic forces. 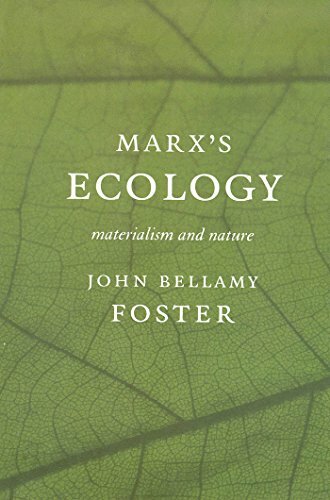 John Bellamy Foster examines Marx's neglected writings on capitalist agriculture and soil ecology, philosophical naturalism, and evolutionary theory. He shows that Marx, known as a powerful critic of capitalist society, was also deeply concerned with the changing human relationship to nature. Marx's Ecology covers many other thinkers, including Epicurus, Charles Darwin, Thomas Malthus, Ludwig Feuerbach, P. J. Proudhon, and William Paley. By reconstructing a materialist conception of nature and society, Marx's Ecology challenges the spiritualism prevalent in the modern Green movement, pointing toward a method that offers more lasting and sustainable solutions to the ecological crisis. About: Progress requires the conquest of nature.